Relocation Assistance In New Jersey After a Foreclosure - "Cash for Keys"
According to NJ Advanced Media, New Jersey leads the nation in residential foreclosures. Nearly 70,000 properties were foreclosed upon last year. If foreclosure is approaching and you still don’t know which path you’re going to take and you still don’t know your options for relocation, Relocation Assistance or “Cash for Keys” could be the best option for you. If the bank or lender has successfully foreclosed on a property, they may have to undertake an eviction process to remove the prior occupants. But this can be extremely costly to the bank. Therefore, many banks created a “cash for keys” program as an available option to work with prior occupants and tenants currently living in foreclosed homes. Cash for keys is a program that allows property owners in foreclosure (or their tenants) to relinquish their occupancy (or “turn in their keys”) in exchange for some monetary moving assistance. The cash would be available to the prior occupant or tenant to relocate in a relatively short timeframe. This is beneficial to the bank because: 1) it saves the bank money in finalizing the foreclosure process or eviction process 2) allows banks to forego the lengthy and tedious foreclosure process and 3) allows the bank to recover possession of the property in several weeks, rather than several months. Banks do not like to own or maintain homes – that is not their business model. In fact, banks would rather transfer the property to a third-party owner or recover pennies on the dollar to be made whole. Often, newly bank-owned homes that are foreclosed upon are in disrepair or need work. Banks cannot keep up with the foreclosures’ maintenance, and would rather not foot the bill to make repairs – and come up even shorter on their loan. As a result, banks are willing to pay decent chunks of change to tenants and occupants of foreclosed homes that are willing to vacate the home. The amount that the bank will pay varies but it is certainly negotiable. If you qualify for cash for keys or relocation assistance, consider it a silver lining on the cloud of foreclosure. You now have the ability to relocate without the added financial stress that comes with moving costs and finding new homes. 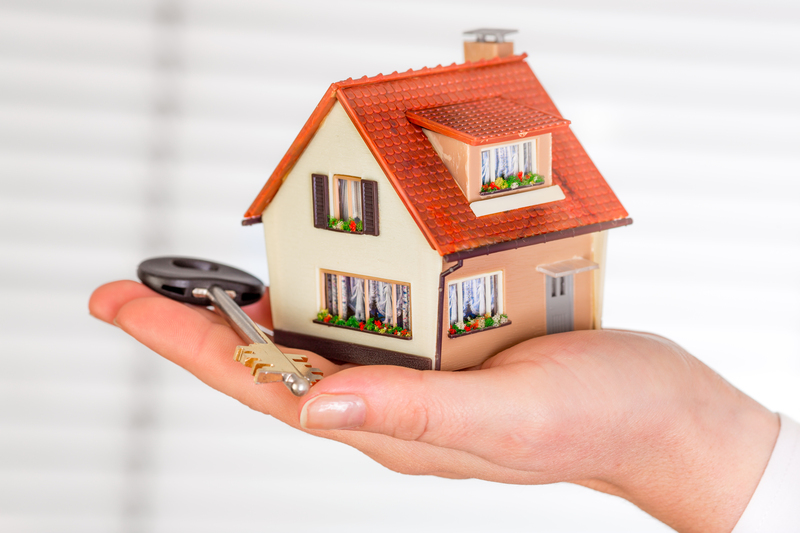 Some say that moving out and buying a new house is even more stressful than bankruptcy or foreclosure – so take all of the assistance you can get, and do not feel ashamed. Ask a New Jersey lawyer today whether cash for keys option is right for you. If you have any questions regarding Relocation Assistance, we’ve answered the most common questions for you down below. If you have additional questions, please contact one of our attorneys for assistance. WHAT DO I DO AFTER I RECEIVE AN EVICTION NOTICE FROM THE BANK OR NEW OWNER? Everyone is eligible, however, the lender or the new property owner will determine if you meet the criteria. Usually, this is determined by time and cost. The time it will take for the tenant to vacate the property and the cost associated with removing the tenant from the property. HOW DO THEY DETERMINE HOW MUCH I WILL RECEIVE? The amount received is determined by cost/benefit analysis. The cost to vacate compared to the necessity of the property to be vacated. HOW SOON DO I GET THE MONEY FOR RELOCATION ASSISTANCE? The money is received as soon as the inspection of the property is complete. The property must be turned over in broom swept condition. HOW SOON DO I HAVE TO EVICT AFTER AGREEING TO MOVE OUT? The sooner you vacate the more money you are offered. It is always tiered, meaning if you leave in two weeks you receive 8k if you leave in a month you receive 4k. WHY DO I NEED AN ATTORNEY FOR RELOCATION ASSISTANCE? Consulting an attorney for relocation assistance is helpful especially in the negotiation process of the buy-out.